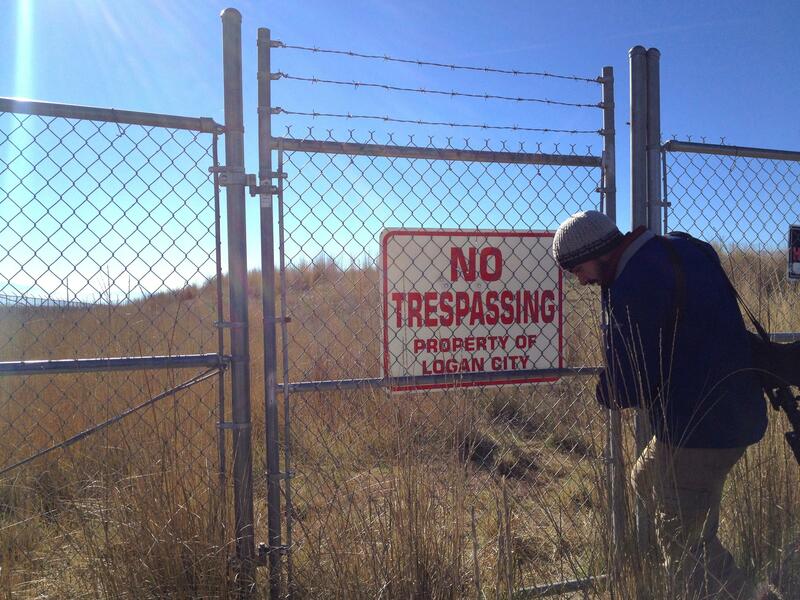 The Bridgerland Audubon Society has permission from the City of Logan to access the so-called "polishing ponds" to look for birds that are attracted to the city's open sewage lagoons. It’s hard to tell that this pond is part of a wastewater treatment system at all. It’s a beautiful fall day full of sun and the water is blue and sparkling. And it doesn’t even stink. But the pond is a perfect rectangle shape with raised dykes on all four sides. And there’s a fence all the way around. The sign on the gate says No Trespassing, but the local chapter of the Audubon Society has permission from the city to be here and Andrew Durso, a local birder, knows the combination code for the lock. As we approach the pond, ducks scatter. The whole system consists of 460 acres of open water lagoons and another 240 acres of wetlands used for additional treatment. Sewage lagoons are a fairly low-tech way of cleaning water, using a combination of time and bacteria to break down solids. Because of all the aerobic activity from the bacteria and additional aeration from floating pumps, the water stays fairly warm. That means that in the winter, it doesn’t freeze, and that makes the ponds very attractive to migrating species of waterfowl looking for open water. “A lot of these ducks -- the gadwalls and the mallards as well as the coots -- they just eat small insects or detritus, plant matter, including probably some of the things that come down the wastewater pipe,” says Durso. This so-called "polishing pond" is one of the last steps in the City of Logan's sewage treatment process. Durso is a biologist, but he studies snakes for his day job. Birds are more of a hobby for him. But he was more than willing to take me to one of the so-called polishing ponds on a Saturday morning. This is one of the more popular birding spots in Cache County and not just because it’s easy work standing on a corner of the pond and watching thousands of birds come and go. 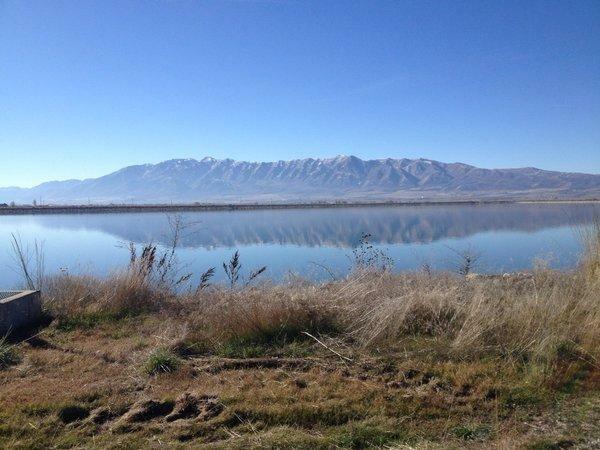 Just in October, the City of Logan finished up its master plan for improving its wastewater treatment. They have until 2021 to get their excessive ammonia and phosphorous levels down. The further treatment that is needed to get the system into compliance may or may not include keeping the lagoons and ponds as they currently stand. Which probably matters to the birders more than to just about anyone else in the community. Andrew Durso and the whole Bridgerland Audubon Society will be out in full force in December for the Christmas Bird Count. And it will be someone’s job to come here and count ducks as far as the eye can see. How many birds do you see in a given day? How many sparrows or hawks or owls do you think live in your neighborhood? Jennifer Pemberton spent an entire day with Logan's Bridgerland Audubon Society compiling their annual bird census.